Mon - Sun 9am to 9pm - After hours book online or email us! Click Here for Pricing, Schedules, Book Now! 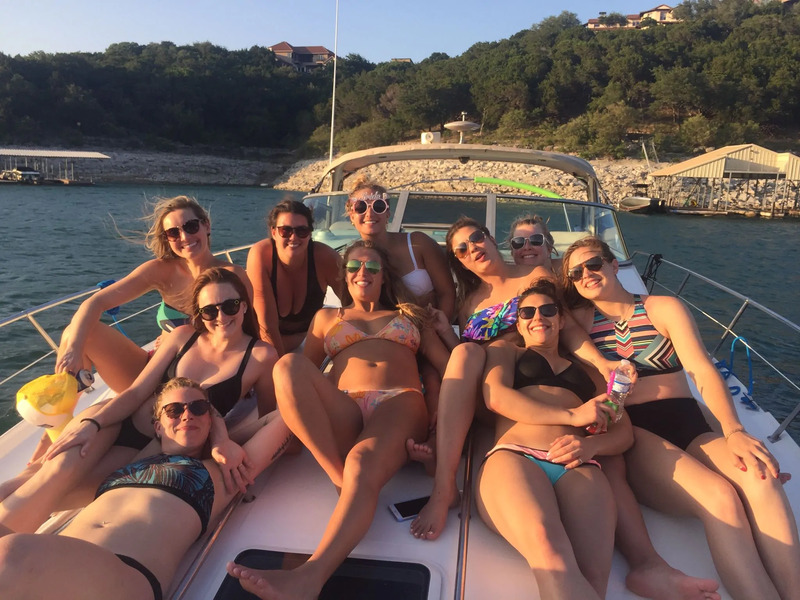 We have the best bachelor and bachelorette party boats on Lake Travis! See our “Pricing” page for weekday and Sunday special pricing starting at $700.00 for 4 hours on our party boats! 20% captain service fee required. Holiday pricing can be seen in booking system. Price (includes taxes, fuel -no hidden charges) 20% captain service fee required. Lake Travis Yacht Rentals was established 5 years ago. We saw an opportunity to improve what was available in the Austin boat rental scene, especially on Lake Travis…We do not offer pontoon rentals like all the other companies, we do however offer a top notch yacht rental experience, at prices competitive with pontoon rentals! Our yacht is chartered, you do not have to drive, dock, anchor, tie up, etc – all we expect from you is to have great time without all the hassles of traditional boat rentals! Definitely reach out to us for your next party boat rental on Lake Travis, we will show a great time that the others boat rental companies cannot compete with. (512)981-6409Mon - Sun 9am to 9pm - After hours book online or email us!